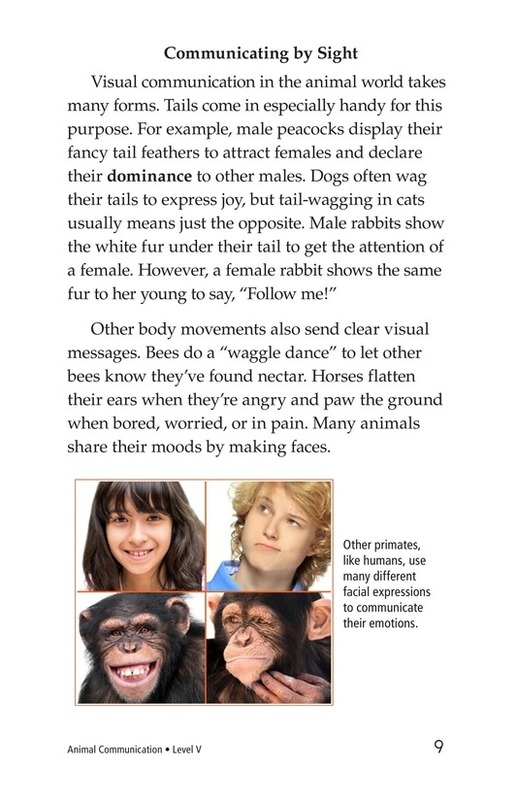 Animal communication is fascinating. 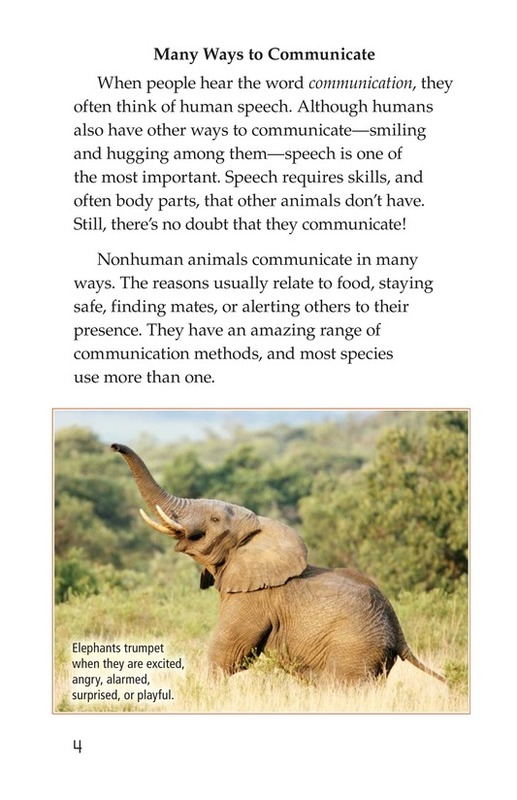 The better we understand it, the better we appreciate the animal kingdom. 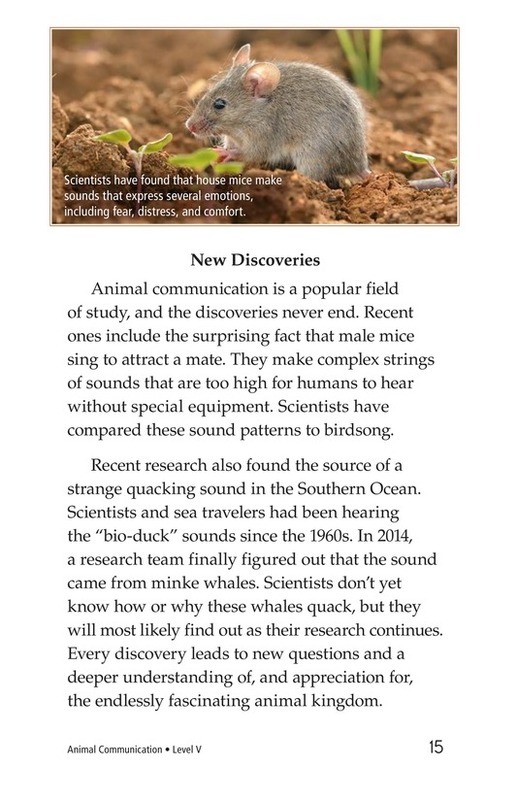 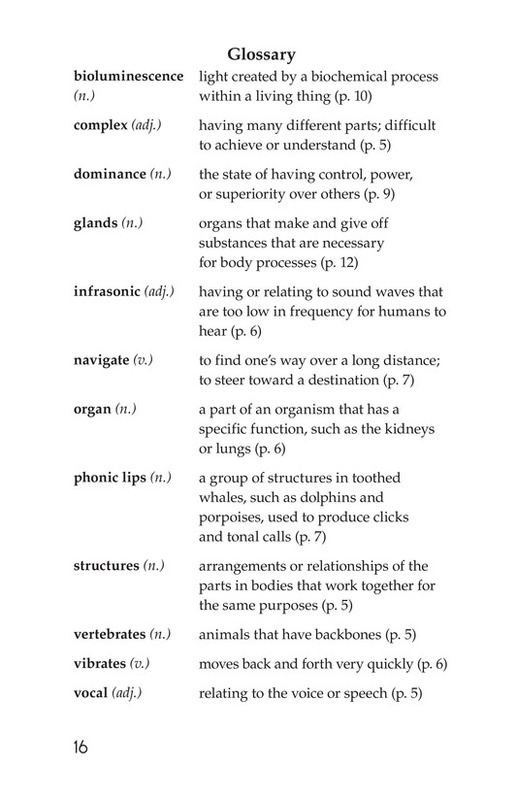 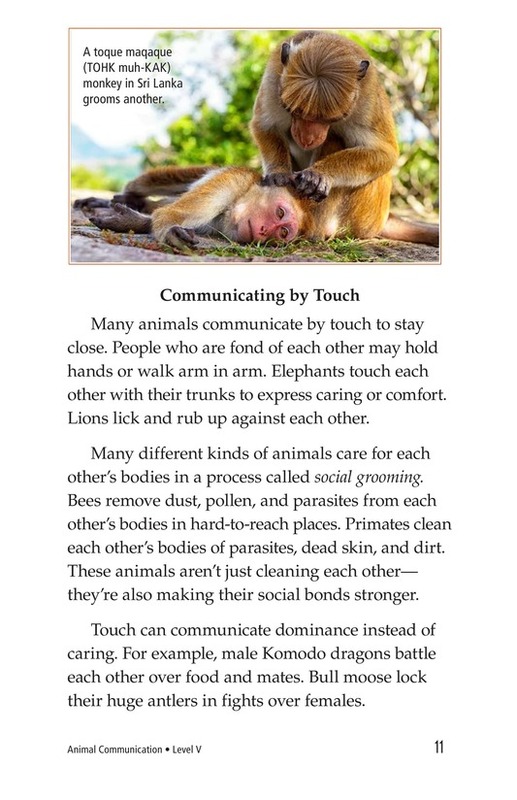 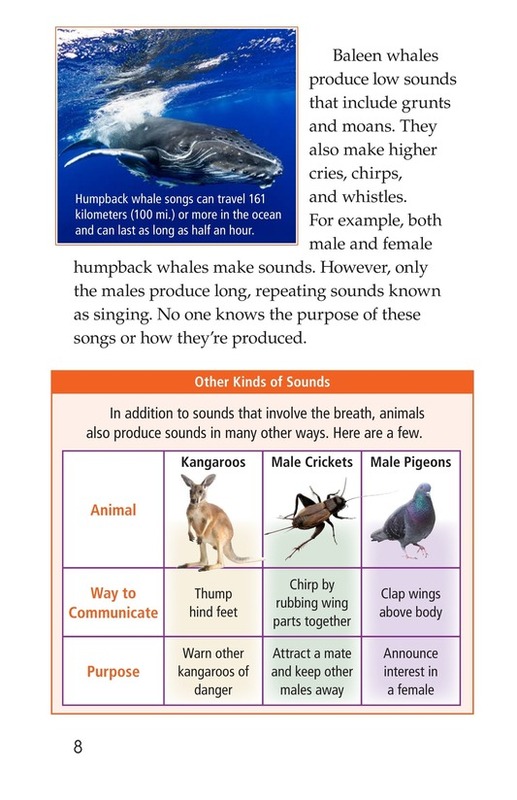 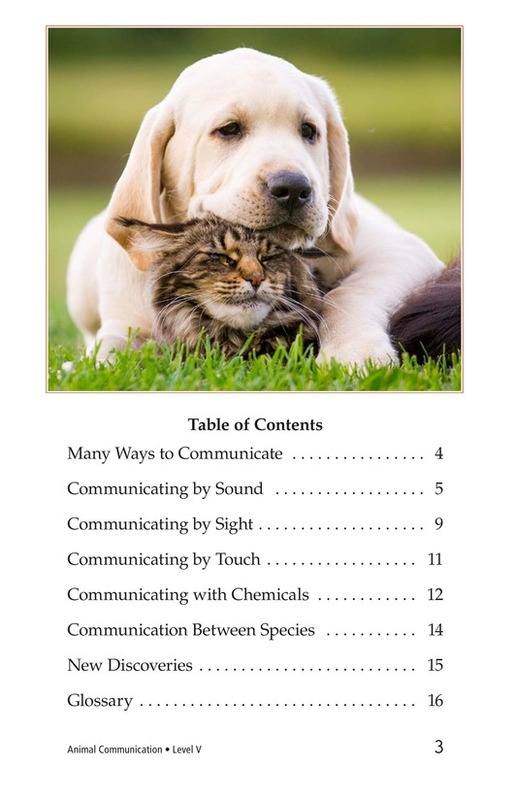 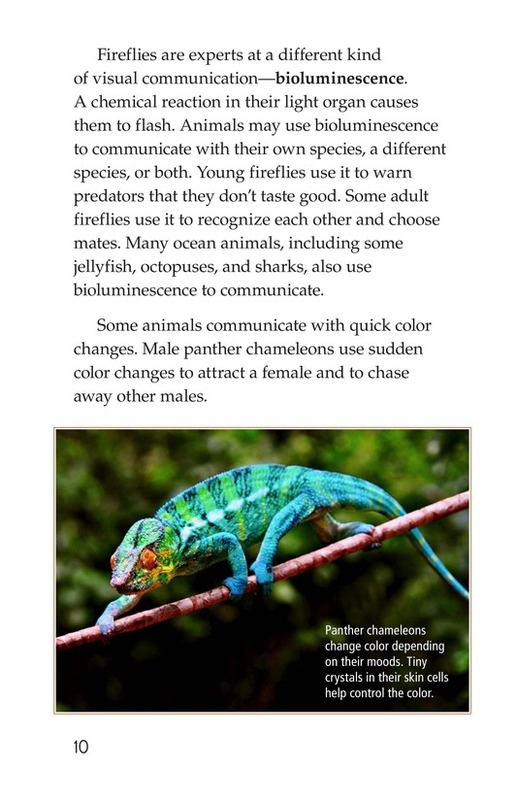 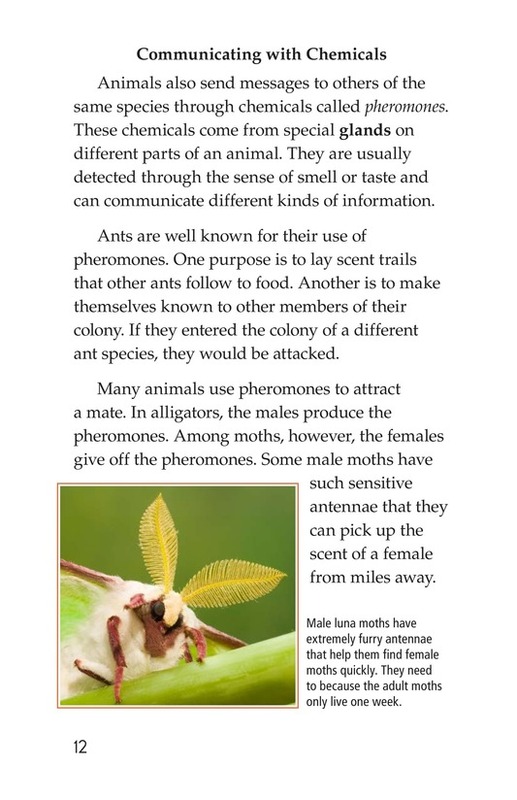 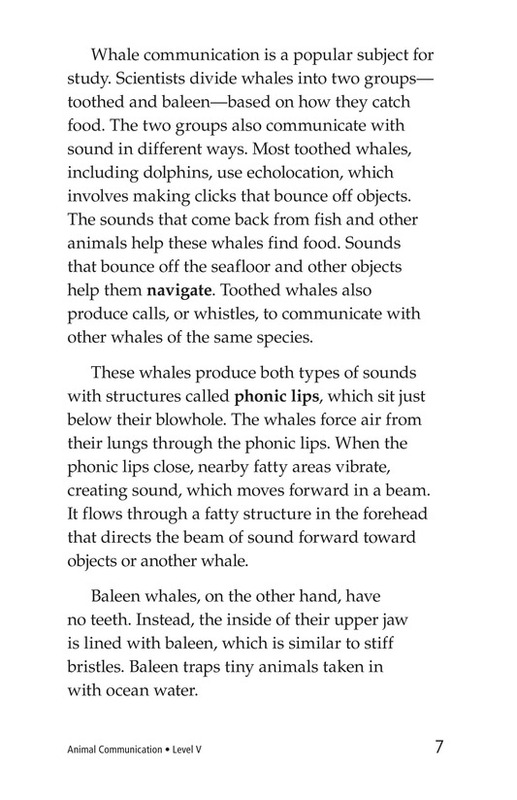 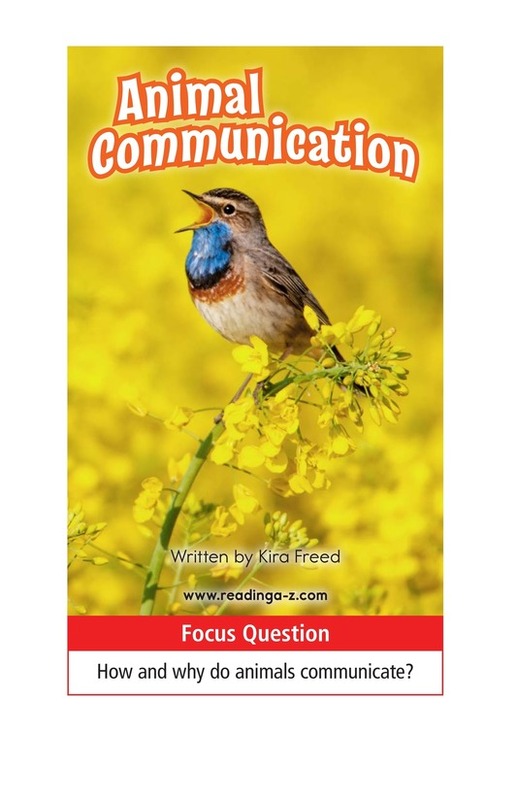 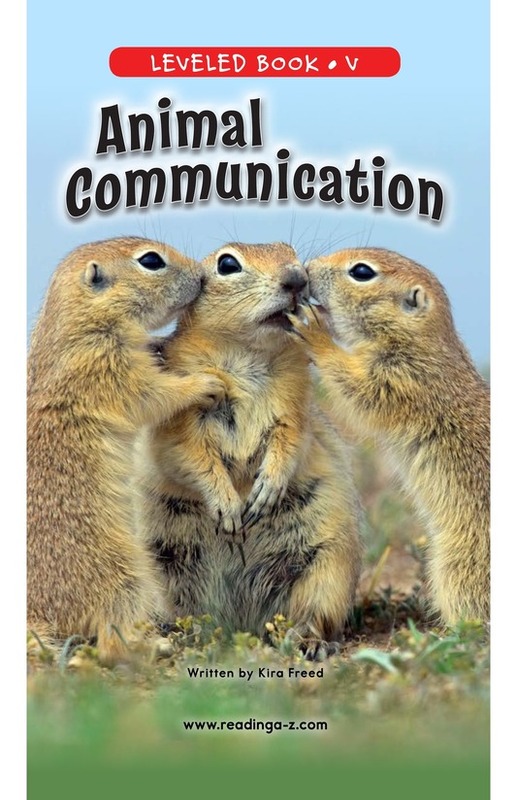 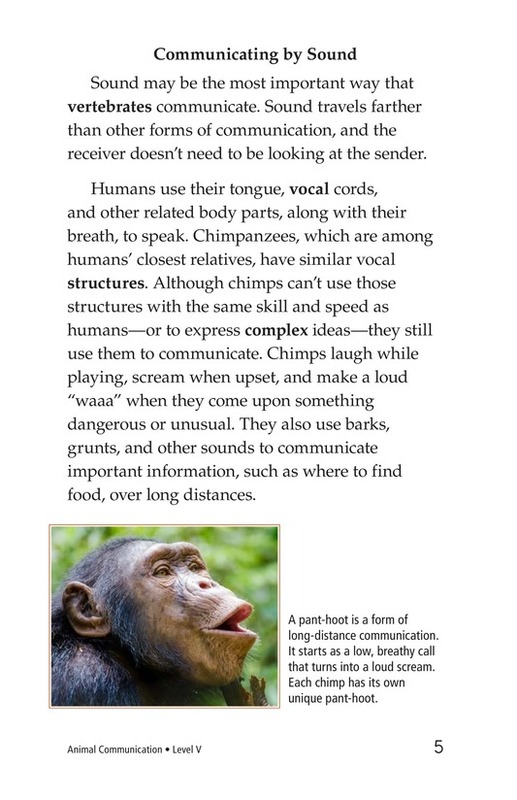 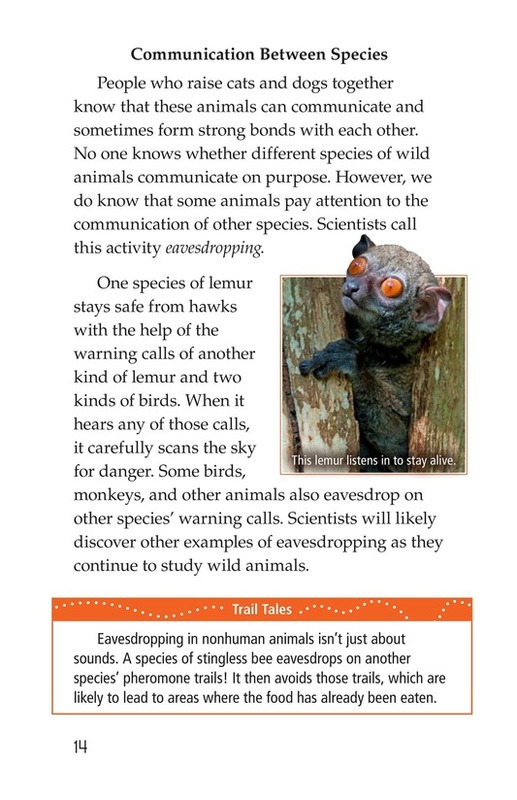 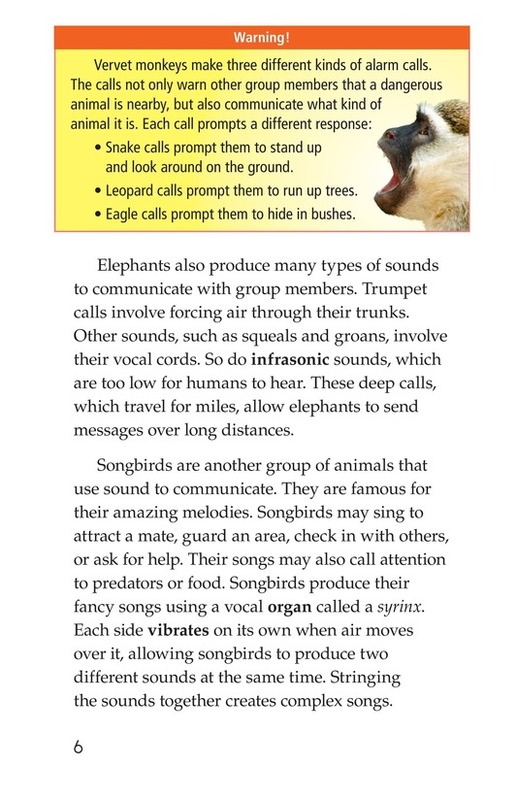 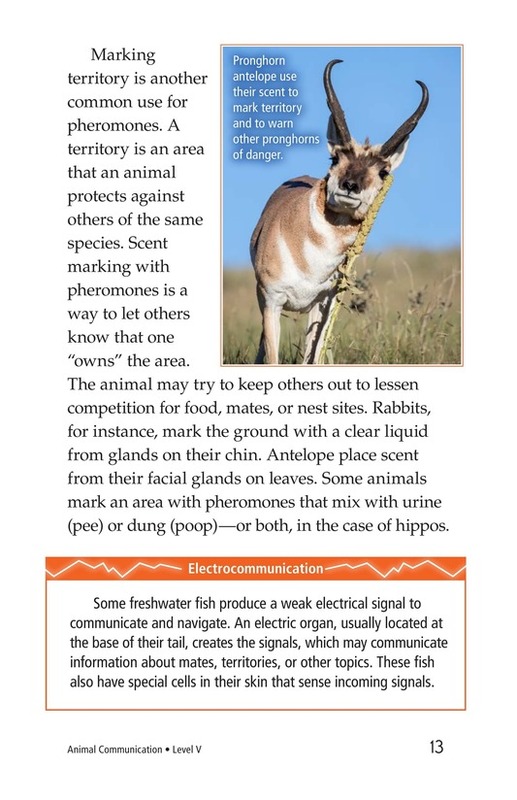 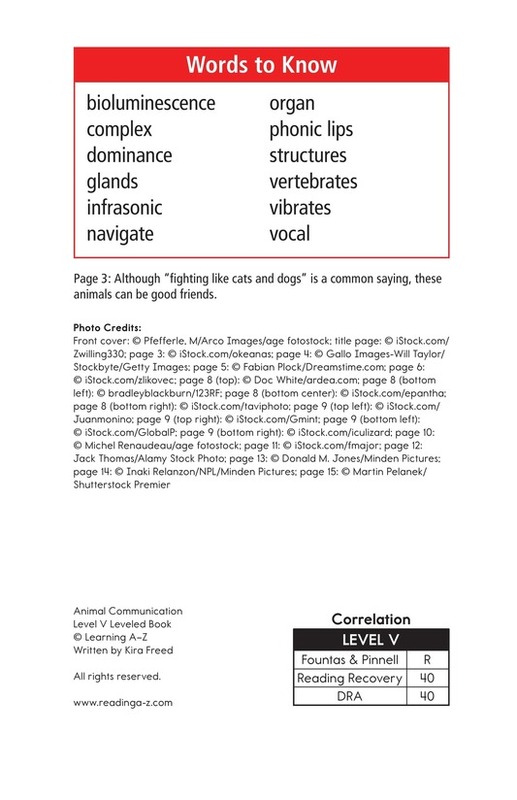 Animal Communication provides students with a detailed looked at the interesting and unique ways that various animals communicate with one another. 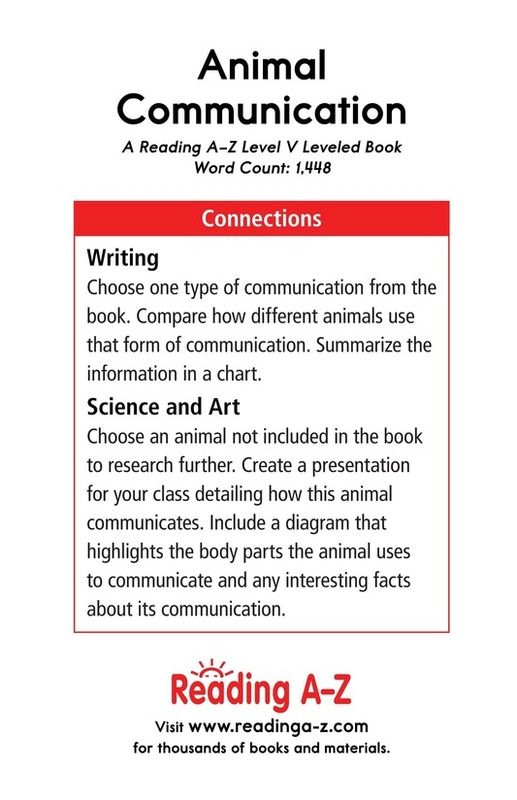 The book can also be used to teach students how to determine an author's point of view and to effectively ask and answer questions.